From full-service advisors to robo-advisors to full-blown DIY portfolios, the investment world can be a scary and complex place to navigate. Let us help. We will arm you with the UNBIASED information you need in order to make EMPOWERED and INFORMED decisions when you work with your financial institution. 2. The different levels and types of services that exist in the investment world. 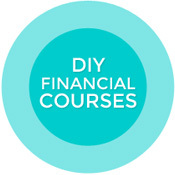 Everything from full-service advisories to Robo-advisors and DIY portfolios. We can explain them and outline what questions you need to ask to ensure you don’t get ripped off. It’s not always a race to the bottom with fees, but let’s make sure you’re getting service and value for the fees you’re paying. Come on in and get School’d! (New School’d that is) on the investment world and what it means for you. It’s the best. Any investor, new or experienced will benefit from an UNBIASED, second opinion. Some institutions overcharge for their investment products, with high MERs, commissions and sneaky sales charges. Other times, investors can be placed into investments that aren’t a good fit for them because it’s a more profitable product. We are not trying to sell you anything except our brains – come and get another opinion. Are you overpaying/being ripped off for the investments you hold? What is reasonable? Are your investments structured to minimize your tax burden? Is the performance of your portfolio in line with overall benchmarks? Like, should you actually be pissed? Or is it super norms. Price: Starting at $390 + HST. Cost may increase depending on the number of financial products in your portfolio. *Please note: We do NOT sell products and are not licensed in securities trading and do not give advice regarding custom securities trading. Ranges exist because often there are more complex financial circumstances that require more number crunching. For example, if you’re self employed! 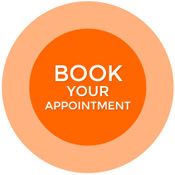 Once you book, we will assess your needs and circumstances and provide you with a hard quote before you come in. Additionally, if you book one of our COMBO sessions (i.e. personal financial session/investor consult) you will have a discounted fee that is made up of a combination of the two sessions.